Yes, Thor gets in a lot of fights. Good thing for him is that he wins most of them. 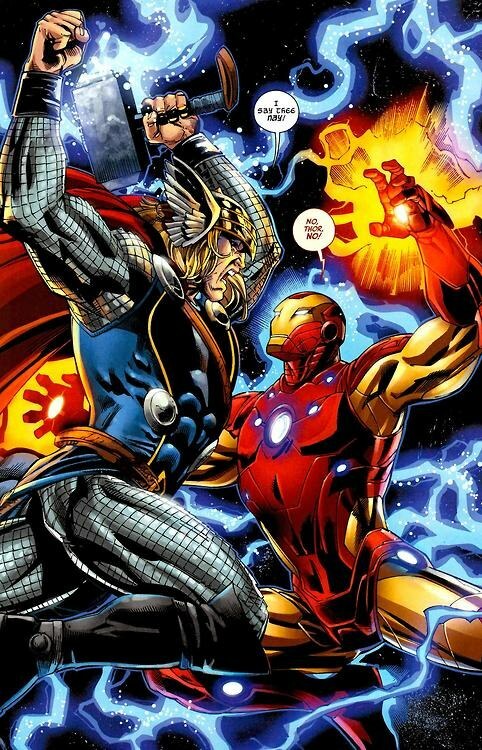 Thor has fought just about every super strong villain and hero in the Marvel Universe and while he hasn’t been fighting guys from the DC universe, we are lucky that some very talented artists have given their visions of Thor fighting heroes and villains he never fought in the comic books. So enjoy Thor’s new movie and enjoy these picture of Thor vs. Everyone. Thor vs Captain America Cosplay style.